The witnesses are legion, scattered across the world and dotted through history, people who looked up and saw something impossible lighting up the night sky. What those objects were, where they came from, and who-or what-might be inside them is the subject of fierce debate and equally fierce mockery, so that most who glimpsed them came to wish they hadn't. Among those who know what they've seen, and are forever changed by it, are a pilot, an heiress, a journalist, and a prisoner of war. From the waning days of the twentieth century's final great war to the fraught fields of Afghanistan to the otherworldly secrets hidden amid Nevada's dusty neverlands-the truth that is out there will propel each of them into a labyrinth of otherworldly technology and the competing aims of those who might seek to prevent-or harness-these beings of unfathomable power. Because, as it turns out, we are not the only ones who can invent and build . . . and destroy. 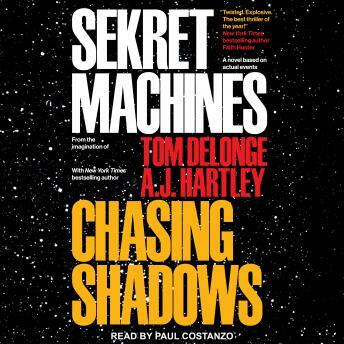 Featuring actual events and other truths drawn from sources within the military and intelligence community, Tom DeLonge and A. J. Hartley offer a tale at once terrifying, fantastical, and perhaps all too real.